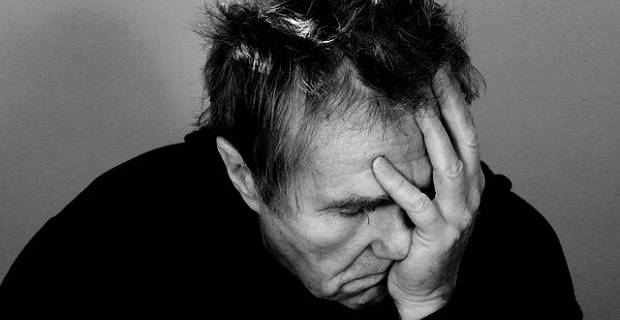 People who struggle with depression often feel helpless. They feel like there is nothing they can do about their situation, but that couldn’t be further from the truth. You are not helpless if you suffer depression. There is a lot you can do to fight and overcome depression, including going for therapy, taking prescribed medication and changing your way of thinking. Along with that, try these five natural ways on how to overcome depression on your own to deal with the condition. 1. Go outside and get some sun and fresh air. Exposure to bright day light for about 30 minutes a day, either through sunlight or other light during the daytime helps keep our internal clocks set and working properly. When your internal clock is set and working properly, it regulates your wake/sleep cycle and ensures you enjoy a good night’s sleep. And when you have a good night’s sleep, your body gets the rest in needs and that in turn boosts your overall mood and physical health. Go ahead and walk out each morning (without sunglasses), enjoy the fresh air and let the light come through your eyes for a while. It can do you a lot of good. 2. Establish a daily routine. Another great way on how to overcome depression is to establish a daily routine. Ian Cook, a psychiatrist and director of the Depression Research and Clinic Program at UCLA, observes that depression can strip away the structure from your life if you let it. Get back the structure and rhythm of your life by establishing a gentle daily schedule, he says. For example, have a set time when you wake up, eat your breakfast, workout and even some set things you do before bed. A daily ritual can help you get back on track. Exercise temporarily releases endorphins (feel-good chemicals) in the body that can help relieve feelings of depression. Moreover, exercise seems to encourage the brain to rewire itself in positive ways, says Cook. The best part about exercising to overcome depression is that you don't have to do heavy exercises to reap the benefits. Just try gentle workout routines like walking a few times a week and you will see the benefits. While there is no magic diet that can cure depression, there are some scientific evidence that suggest foods rich in omega-3 fatty acids (such as tuna and salmon) and folic acid (such as avocado and spinach) could help ease depression. Nothing is definitive, of course, but it doesn’t hurt to eat these and other healthy foods if you are struggling with depression. One of the least costly and most effective ways on how to overcome depression naturally is to get enough sleep—about 7 hours each night. Unfortunately, sleeping is not as straight forward as it may seem when you have depression. That’s because depression tends to make it hard to sleep. But, you should make every effort to get enough sleep each night because sleep deprivation makes depression worse. Some ways to ensure you get enough shut-eye is to block out the noise, light and distractions in your bedroom. That means no gadgets in the bedroom, including mobile phones, laptops and TV. Also, ensure you go to bed and get up at the same time every day. In time, you should start to sleep better and overcome depression.